This NFL regular season has been full of surprises. Powerhouse teams struggling and teams you’d expect to be terrible are in the thick of the playoff hunt. Then there are the Cleveland Browns, who have fell short everyone’s low expectations and are winless at this part of the season. One of the surprising teams this season are the Oakland Raiders. The Raiders are 9-2 and are 2nd in the AFC standings. They are riding the hot arm of Derek Carr and all the other young talent on their team to make themselves a legit Super Bowl contender at this point in the season. The Raiders return was due, but nobody expected it in this fashion. At 9-2 they have clinched their first winning season since 2002. They are hoping to clinch their first playoff berth in over a decade. That is certainly a long time, but it seems like those times are behind them. With the help of the NFL Draft and free agency, Reggie McKenzie, Raiders general manager, has helped the Raiders have built title contender team. With the young core of Derek Carr, Khalil Mack, and Amari Cooper the silver and black now are poised for sustained success. Derek Carr is having a sensational season, completing 66 percent of his passes, throwing for 22 touchdowns and 5 interceptions. Carr is a MVP candidate and rightfully so, leading his team to 5 fourth quarter comebacks this season. Derek Carr was overlooked in his draft year but I’m sure many GMs are wishing they chose this young superstar QB. His teammates love his leadership and his guts, finishing his most recent win against the Panthers with a dislocate pinkie finger on his throwing hand. The Raiders defense is the true definition of the bend but don’t break. Having their many flaws this season, when the defense needs a stop to clinch the game, they come through. Khalil Mack, who started off the season slow, has picked up the intensity and has wreaked havoc all over opposing offenses. Mack is a defensive player of the year candidate, showing that he is a force in this league for many years to come. Bruce Irvin on the other side is doing his part keeping the opposing quarterbacks running for their lives. The defense isn’t a great defense by any means, but when the game is on the line, they get the job done. What has also helped Oakland in the rise to success was a change in culture. The Oakland Raiders we all remember from in the day were hard-nosed, physical and almost a bully ball type of team. With Coach Jack Del Rio at the head he has revived that mold. He wanted to bring back that Raider football we all knew and loved, and that is just what they needed. With their offensive line that is one of the best in the league, the Raiders now are physical and will hit you in the mouth and it shows throughout their play. The same from their defensive line That comes with a consequence, as the Raiders back in the day were penalized frequently, and just this year the Raiders set the NFL record for most accepted penalties in a game. Seeing the results from the revival of the physical culture I’m sure they’ll be ok with that. What has always hurt the Raiders in the past is that they couldn’t finish games. With the wins they’ve had to fight for this year, you can safely say that that trend is over. Oakland is now a team that if the going gets tough they won’t crumble and give the game away. Coach Jack Del Rio said this was a main point of emphasis if they wanted to get to the next level. With them focusing on how to close out games the Raiders now can seal the deal in crunch time, propelling them to that next level. It’s not about how you start it’s how you finish and Oakland is now finding ways to finish games. 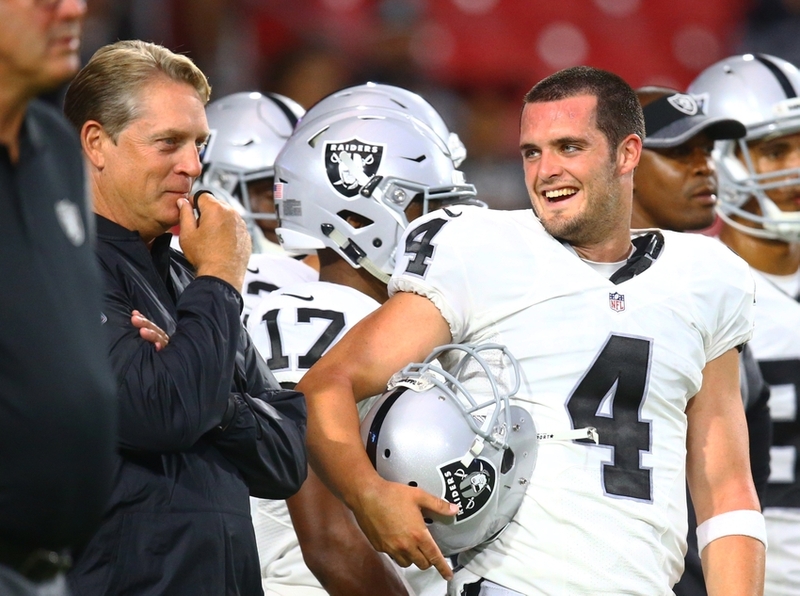 The Oakland Raiders seem to be back and better than ever. Time will tell as we will see how they end this season and how they perform in the playoff. Raiders fans can now come out of hiding and believe in the silver and black once again. Next Next post: Why shouldn’t you date your friend’s brother?